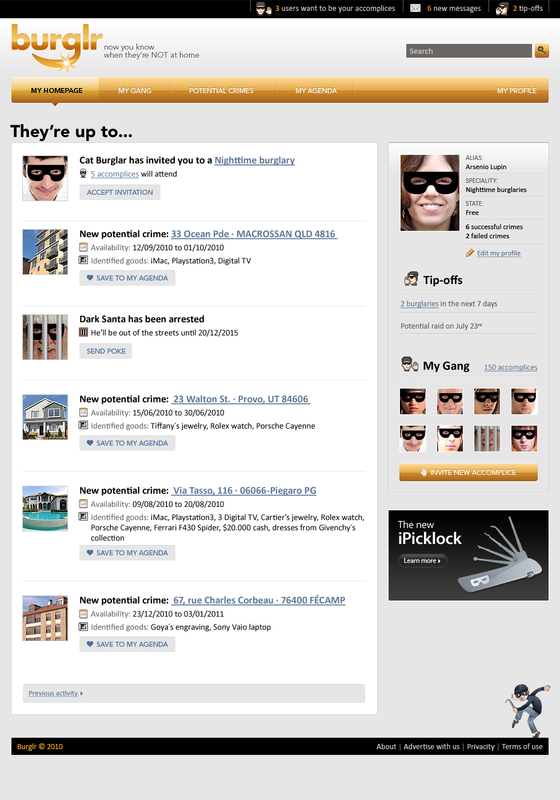 Burglr is a fake social network that compiles public data to inform burglars about potential crimes. 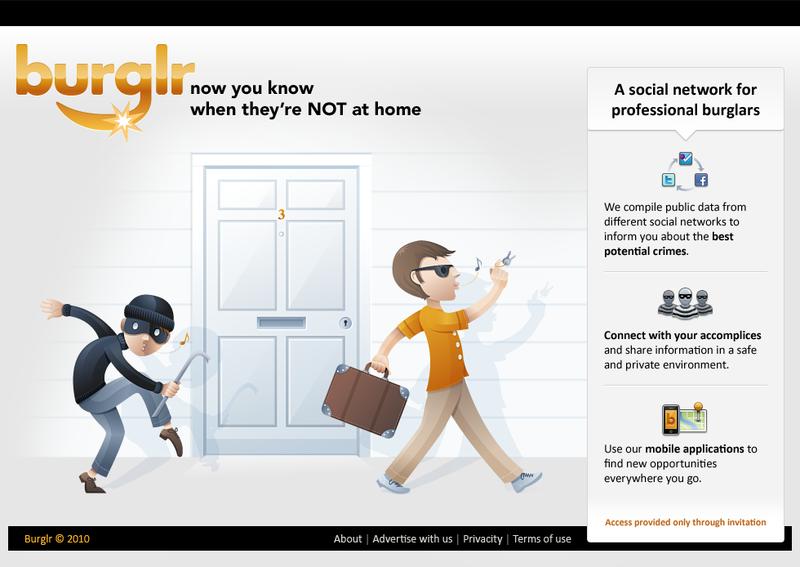 With this website we want (with a hint of humour) to make people aware of the dangers of geolocation linked to social networks. 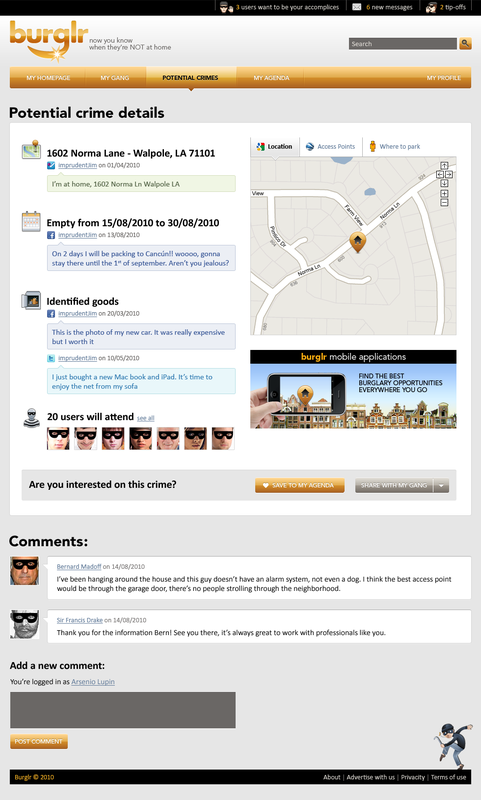 Never post the exact address of your home. Likewise, ask your friends not to check-in at your house when they visit you. Don't let the whole world know you're going on holiday and neither for how long you are going to stay away from home. Don't allow geolocation applications to post on your Twitter/Facebook profiles if they are public or you don't know personally all of your followers/friends. Protect your children. Never post about which school they attend to or the activities they go to. Burglr idea came up from a crazy conversation between Nacho Monzón, Oscar Marina and Jimena Catalina.